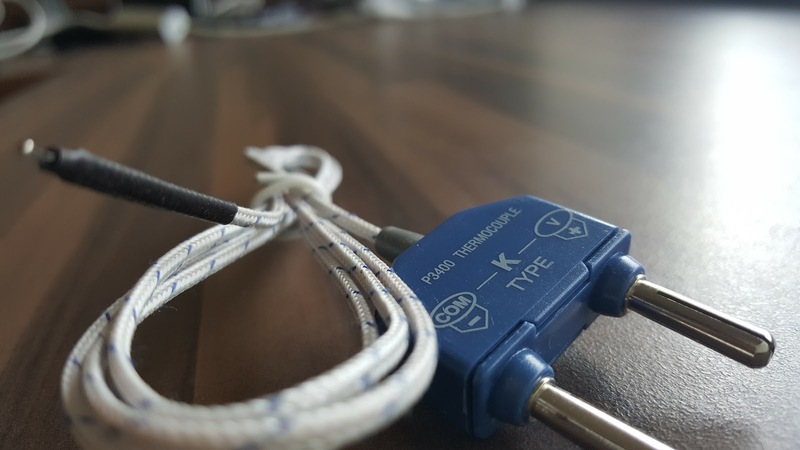 In short, a variety of features, strong construction, adhere to all the electrical standards for UK and most importantly very safe to use. 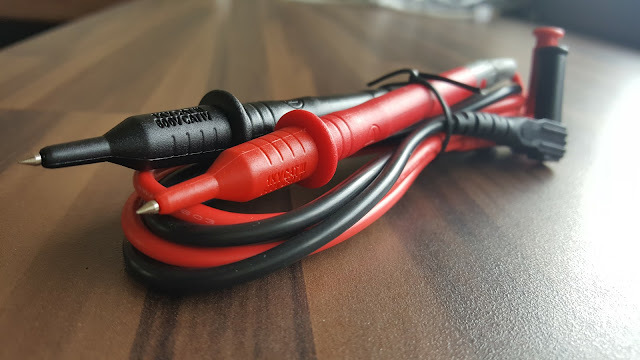 Also works as Digital multimeter. I’m not a certified or professional electrician but do a lot of electrical work personally and keeps updated with latest rules & regulations. 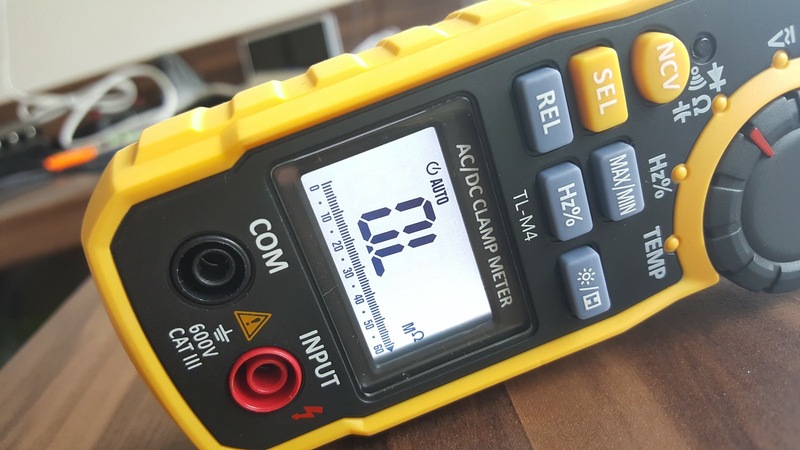 I own a Klein Mm1000 digital multimeter but never owned a clamp multimeter. Clamp meters are the safest when you work with high voltage current and the quickest to get measurements. 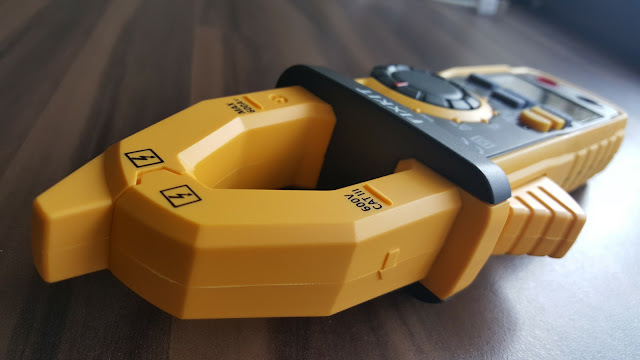 With Clamp meters you don’t have to break the circuit or fiddle around with connections, just clamp around the cable to take readings. 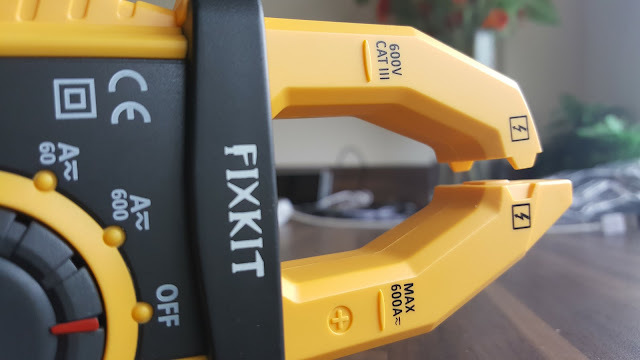 Not as accurate as digital multimeters but accurate enough for most of the works you do. 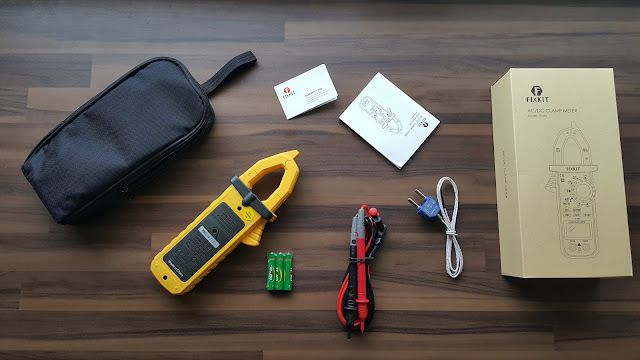 Comes in the box, the Clamp meter, a carry case, 3x AAA batteries (manual has print mistake saying 9V battery), probes and a decently written manual. 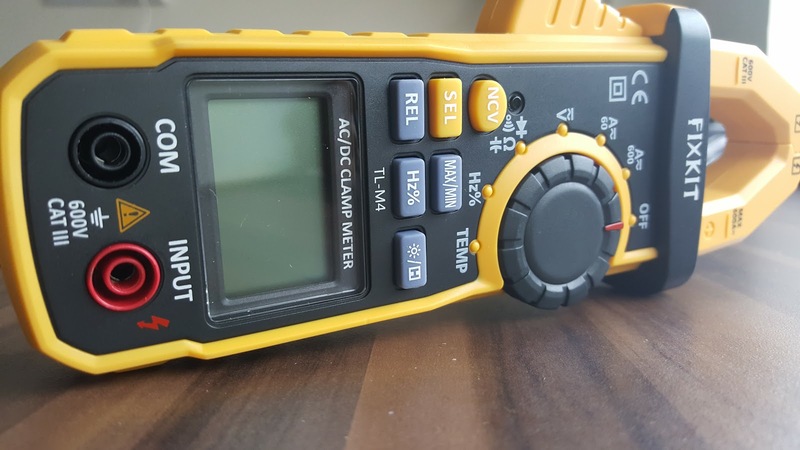 Both digital multimeter and clamp meter built right into one unit - there will be some other areas / features to cut down to keep the price low. There is no compromise on build quality either. 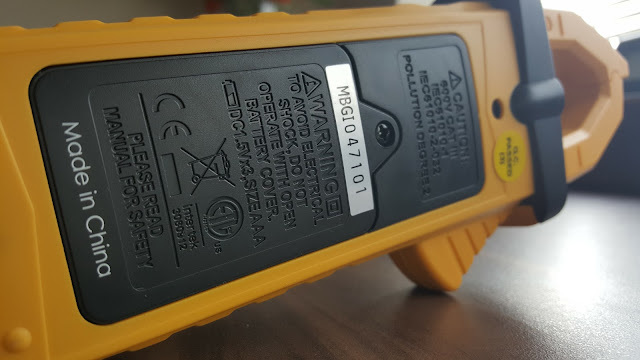 What I think this meter lacks is the calibration feature. 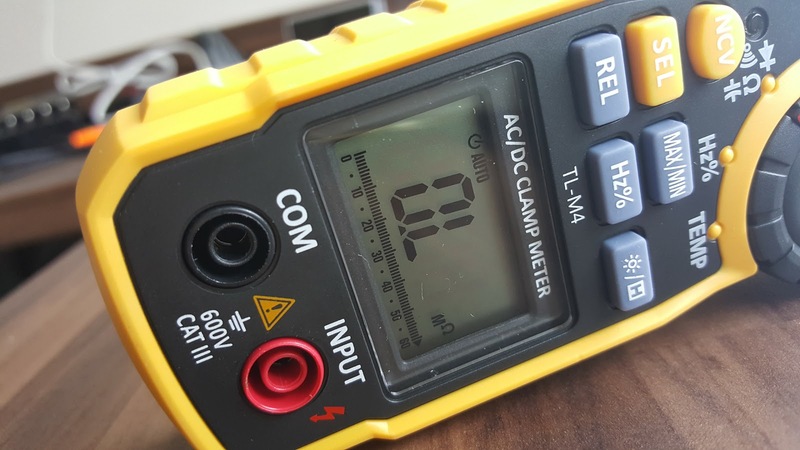 Having said that, clamp meter reads fairly close reading when comparing to digital multimeter. 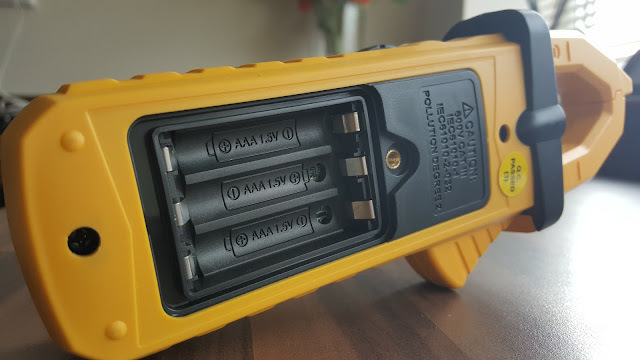 The moderately large screen shows all the necessary information you need, the screen can be light up if necessary, same goes to clamp end as well with a LED at the top of the meter. Not running down the technical aspects again, but please do make sure you set the rotary dial to the correct position before you do anything!! Overall a really handy device, clamp meter is the high light for easiness and safety. Please do check out the pictures to see what exactly you get and how it looks.